OMEGA expands its Museum Collection of reproduction vintage timepieces with the addition of the Marine 1932 watch: the first in lineage of Seamaster divers’ watches and an eloquent proponent of Art Deco aesthetics. This Limited Series of 135 recreations of the Marine 1932 commemorates the 1937 trials that officially certified the watch’s water resistance to 135 meters. The hand-winding Marine 1932 becomes the seventh Omega family member of the Museum Collection. In keeping with the philosophy that inspired the Museum Collection, the watch joins the 21st century with the incorporation of Omega Caliber 2007. 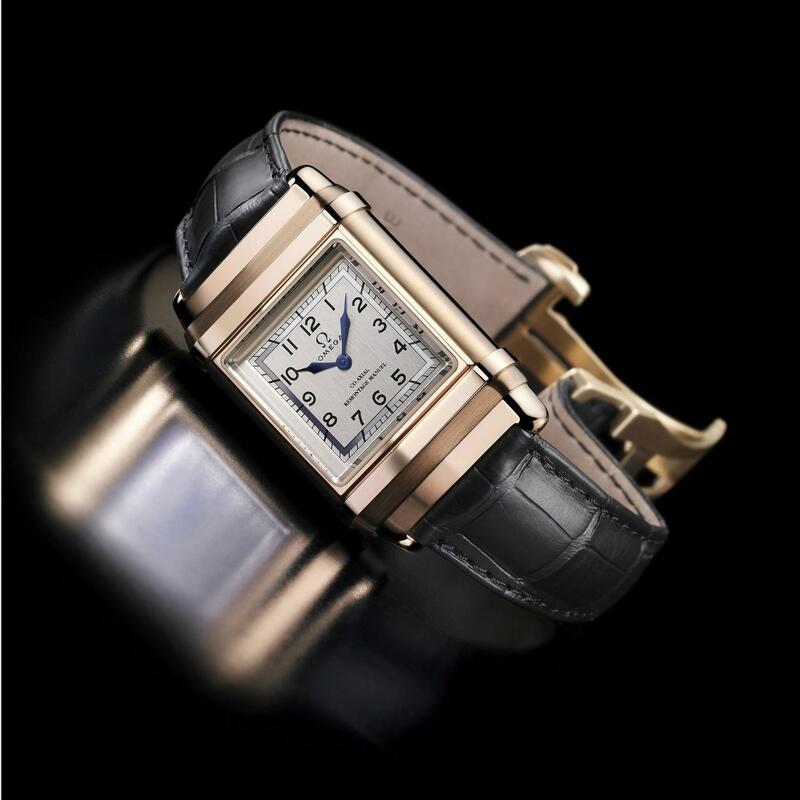 The double case has been crafted in contrasting 18kt rose and white gold and enlarged to show off the sleek lines that capture the aesthetics and design mood of the 1930’s. Always on the look out for new challenges, Omega patented the first divers’ watches for commercial use in the early 1930’s. Elements such as water, dust, shocks and magnetism posed a challenge for wristwatches and the début of the 1932 Omega Marine paved the way for a new generation of professional divers’ watches and the creation of the renowned Seamaster range. With its innovative and patented double sliding and removable case in stainless steel – designed to protect the mechanism from extreme temperature variations and pressure – the Marine 1932 made underwater history and received enthusiastic testimonies from submarine explorers of the day. The first rudimentary experiments on the Marine watch were conducted in 1936 and involved immersing the watch into water at a temperature of 85° Celsius for several minutes and then plunging it directly into water with a temperature of 5° Celsius to test its resistance to extreme temperature variations. In another experiment, illustrated in a period advertisement, the watch was sunk to a depth of 73 metres in nearby Lake Geneva at a temperature of 5° Celsius for 30 minutes. Although the watch’s performance attested to its water resistance, more exacting and controlled testing was commissioned by OMEGA. After a series of trials undertaken by the Swiss Laboratory for Horology in Neuchâtel in May 1937, the watch was certified as being able to withstand a pressure of 13.5 atmospheres, equivalent to a depth of 135 metres, without any water intake whatsoever. Dr. Charles William Beebe, a famous American ocean explorer, weighted himself down and took a 14-metre plunge in the Pacific Ocean with his OMEGA Marine. Upon surfacing, Beebe proclaimed that the Marine’s “resistance to water and dust, its robustness and resilience to rust represent true progress in watchmaking science”. 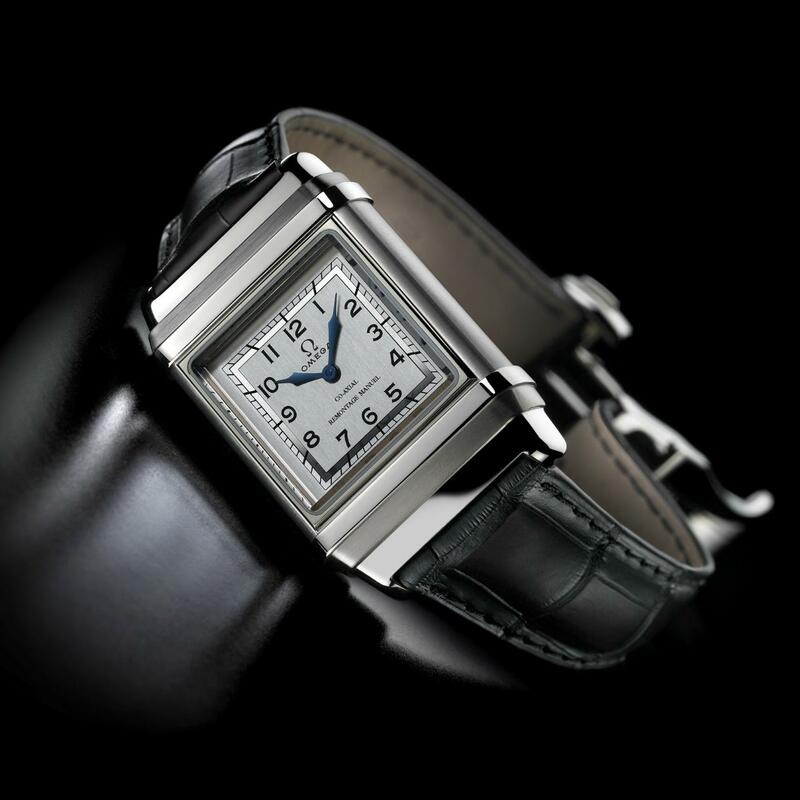 The dial of this Limited Edition Marine 1932, with its clean geometric lines, is pure Art Deco. The solid gold dial has been satin brushed for increased texture and offsets the finely polished minute track. The blued steel “Modern Plume” hands glide past the large Arabic numerals and the vintage OMEGA logo and name are featured at 12 o’clock. The philosophy that inspired OMEGA to create the Museum Collection was to take a timepiece from the past and marry it to the latest technological breakthroughs in watchmaking. 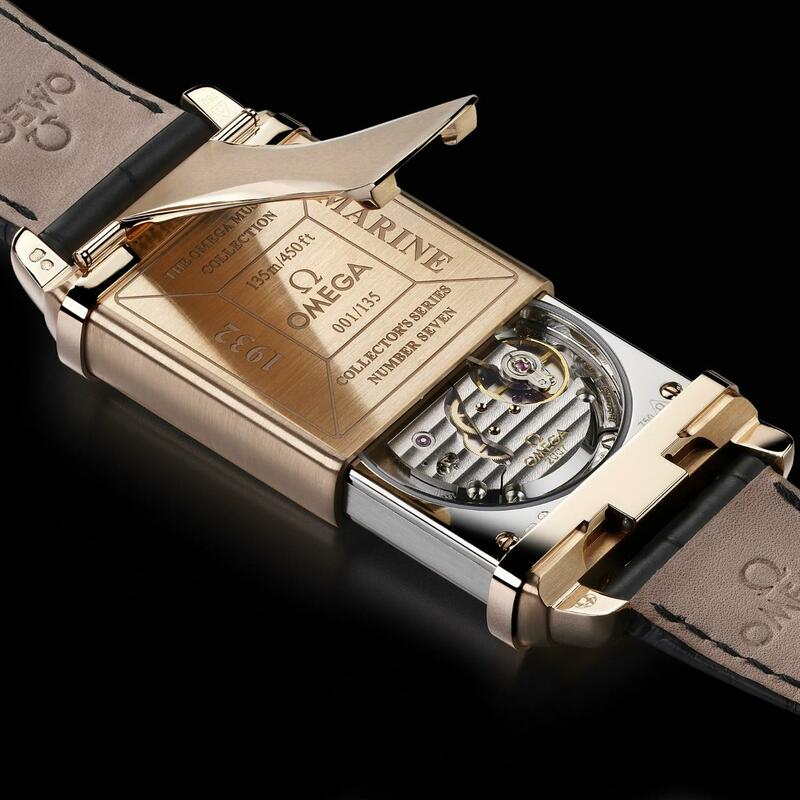 As part of the Museum Collection, the Marine 1932 has been fitted with a personalised movement. OMEGA Calibre 2007 – exclusively designed for the occasion – powers the heart of this historic hand-winding watch transporting it into the 21st century with the incorporation of a Co-Axial escapement. The Co-Axial escapement, exclusive and proprietary OMEGA technology, represents one of the most important advances in watchmaking over the last 250 years and considerably reduces friction in the heart of the watch mechanism for improved long-term reliability and accuracy. Performance is further enhanced by a free-sprung balance allowing for more precise adjustments of the watch. The Marine 1932 offers a 48-hour power reserve. The double interlocking case of the Marine 1932 remains one of OMEGA’s crowning design feats with its ingenious coupling of resiliency and beauty. The two cases, in contrasting red and white gold slide in and out of one another with absolutely no resistance. 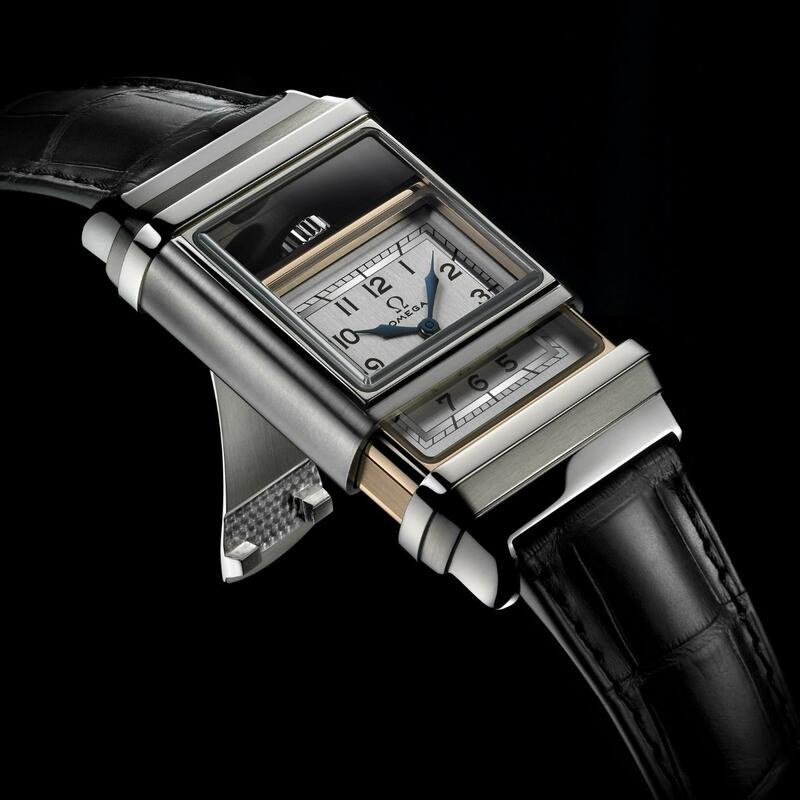 As a Museum Collection piece, the external case has been enlarged (33.05 mm wide and 50.50 mm long) and showcases the unmistakable Art Deco elements of the watch with its smooth edges and tiered, curved lugs. The 18-carat red gold case, designed to protect the inner case from external aggressions, has been satin brushed and polished to provide contrasting textures. The 1930 patented locking lever seals the two bodies hermetically for underwater immersions of up to 135 metres/450 feet. 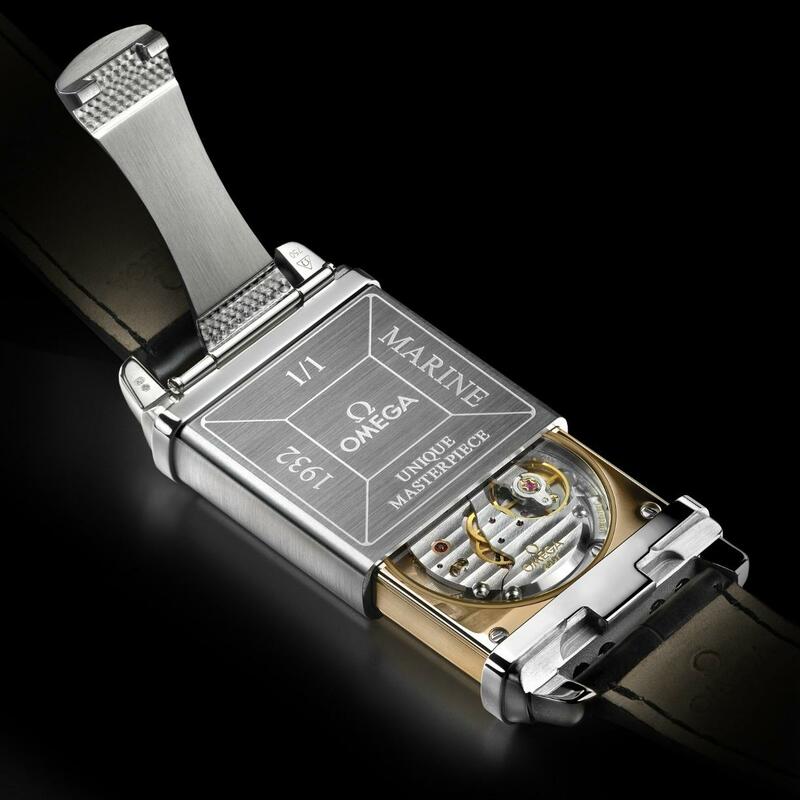 By releasing the lever, the 18-carat white gold interior case glides out revealing its movement and the manual winding crown at 12 o’clock. The sapphire crystal case back allows a view of the luxury finish with the white rhodium-plated movement and Geneva waves, circular-graining and gold plated engraving. The Limited number Series is engraved on the rose gold exterior case back which has a vertically satin brushed finish.